As an infant, Pablo arrived on the Island of Isla nestled in an inflatable swimming pool with nothing but his lavender parrot to protect him. Adopted by Emmanuel and embraced by the locals, Pablo grows weary of the stories they tell about where he came from. After 10 years, Pablo wants the truth. Although Pablo doesn't want to hear about the possibility of being a pirate baby or coming from a place where people live underground anymore, one legend intrigues him: The legend of the Seafaring Parrot. Pablo dares to wonder if his parrot, Birdy could be the bird of the legend. But Birdy can't talk or fly and the locals insist that the Seafarer remembers every sound. 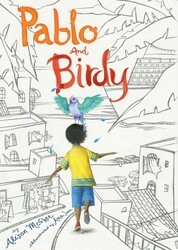 At the time that Birdy starts to mumble, strong winds begin to blow on Isla which makes Pablo ponder the saying: winds of change mean fortune lost or fortune gained. While Pablo seeks courage and tries to find his place in the world, a scraggly dog looks for love and acceptance. The committee, a group of parrots all with distinct personalities, add humor to the poignant search of belonging. Be ready to shed a tear or two in this endearing tale of friendship, courage, and loss. Detailed illustrations capture the sweetness of a beautifully written novel. Career Week has everyone buzzing about whose parents will come to speak to their class. 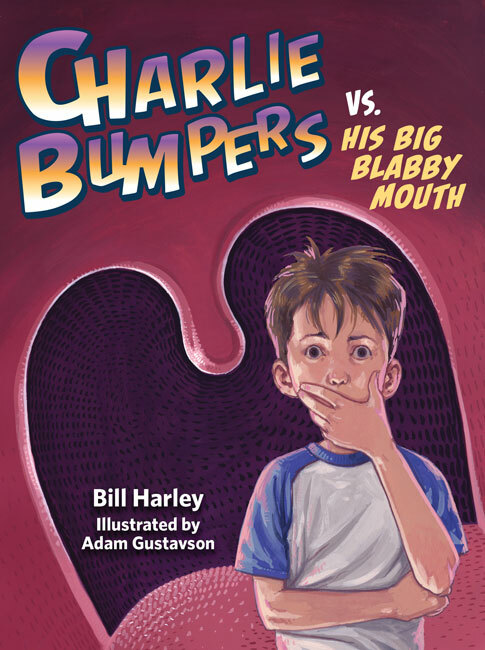 With his classmates bragging about their parent's jobs, Charlie can't help but open his blabby mouth about his dad's work. Unfortunately, he leaves the impression that his dad is president of his company and that he will bring calculators to the entire class when he comes to speak for Career Week. Not only does Charlie have to convince his dad to come to school, he has to deal with his dad losing his job during the fiasco he created. Charlie wishes he would have kept his mouth shut. Will his dad even make it to Career Week? And if he does, what will his classmates think of him? Charlie learns the hard way that words or lack of them can create conflict. The reluctant reader will easily relate to Charlie's predicament and the way his family works through it together emphasizes the importance of home and family.